What home inspiration are you finding these days? these are awesome! i will be sad to leave my built-in bookshelf from this house. i also had an awesome one growing up! Oh my word! I LOVE the third picture! These are great! I loved each one more than the next. 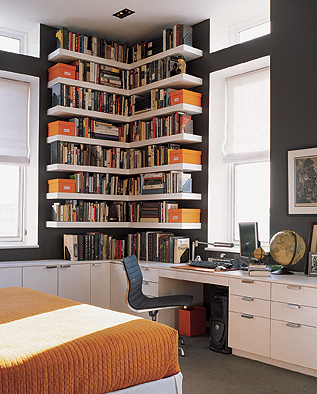 Those are some GORGEOUS book shelves. Sometimes I get overwhelmed because we have so many and our shelves fill up quickly, but they are SO beautiful. They make every room look better. I hope your dreams come true one day and you get your ladder! I LOVE the set-up of the second one.... So bright and cheery. I could read in a room like that ALL day. cute blog, by the way! Please check mine out and if you like it follow, id really appreciate the support! 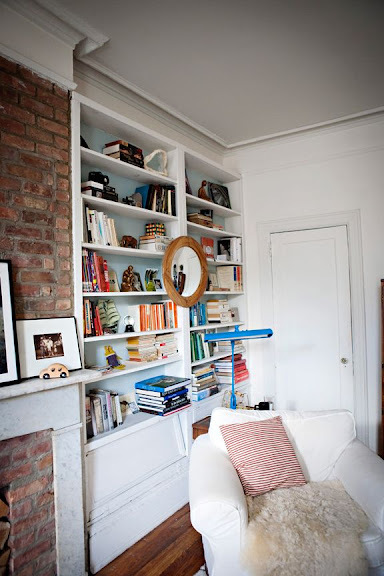 I have much love for bookshelves too! So organized, yet artistic.